You are at:Home»Herbs»Aristolochia longa Linn. Latin name : Aristolochia longa Linn. Description : The name is derived from the Greek ‘aristos’ (noblest) and ‘locheia’ (childbirth). The root and rhizome are acrid, alterative, anodyne, antibacterial, antifungal, antiinflammatory, antiseptic, antitussive, aromatic, carminative, diaphoretic, diuretic, emmenagogue, expectorant, febrifuge, hypotensive, stomachic, stimulant, thermogenic, tonic and uterine stimulant. Has a long history of use in childbirth in promoting uterine contractions during labour and for removing obstructions after childbirth. 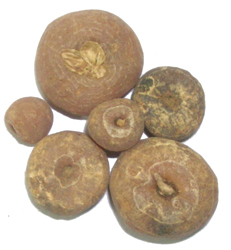 Also used for menstrual problems, cough, asthma, intestinal worms, rheumatism and gout. The root contains aristolochic acid. This has anticancer properties and can be used in conjunction with chemotherapy and radiotherapy. Aristolochic acid can also be used in the treatment of acute and serious infections such as TB, hepatitis, liver cirrhosis and infantile pneumonia. It also increases the cellular immunity and phagocytosis fusion of the phagocytic cells. Recommended Dosage : 3 to 5 g powder. Contraindication : This herb is contraindicated during pregnancy but can be used during labour at childbirth.